Head over to Facebook and “Like” Lifesaver. 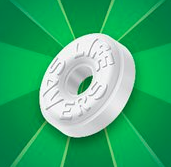 They are going to be giving away a $1/1 Lifesaver Mints Coupon at 9:ooam today! You only have a few minutes, get ready. We all know how this works! I’m sure we’ll be able to get free mints with this coupon! They do have a limited supply! Click on the “Mints Monday” tab on the left hand side. This is one of my favorite stops when we are in Sonoma. We actually go there a lot throughout the year and stop at Tiddle E. Winks almost every time. It’s one of those stores that bring back fun childhood memories. Juice in the City has a deal today you don’t want to miss if you plan on being in the area. 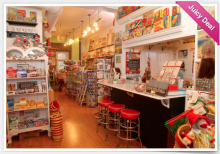 You can get a $7 for $14 voucher to a 5 & Dime Candy Shop, Tiddle E. Winks, in Sonoma. Daily deals Jul 20, 2011 in candy, entertainment, JITC · Expired! Hurry over to Facebook to request a sample bag of new M&M’s Pretzels. There are currently 39,000 samples left, so I would request yours now! You can request yours here. Got mine! Get a free Butterfinger candy bar when you become fans of Butterfinger on Facebook. Become a fan of Butterfinger now to get your free candy bar! Disclaimer: Limited to the first 100,000 claims. Purchase not required. Limit one claim per email address. Free bar awarded in the form of coupon good for 1 BUTTERFINGER® 2.1-oz single bar. Offer valid for individual U.S. residents only. Please allow 6-8 weeks for processing.